I’ve just spent the past week on a news-fast. I am certain that during this time the world has seen and recorded the usual mix of mayhem, tragedy, unimaginable suffering, political posturing and upheaval. I’ll hear it all soon enough. For now, though, I would like to report some alternative news and serve as an eyewitness reporter. In and around a tiny farm pond in the Laurel Highlands of Pennsylvania, life is renewing itself. Tadpoles are predictably, but nonetheless miraculously growing the legs of the adult frogs they are soon to be, red-winged blackbirds are building their family home, and Spring Peepers are filling (and I mean FILLING!) the night with their exuberant mating songs. I anticipated this interlude as eight days of silence. Happily, the silence is mine: the wild things are making their own energetic, joyful noises. I am listening. 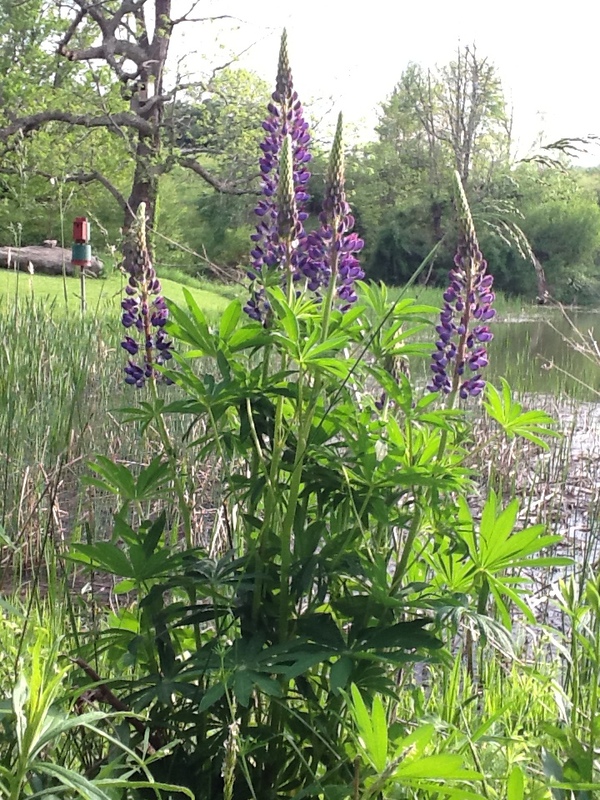 And oh, I’ve watched the lupine flowering, row by row, amazing bud to stunning bloom. Here, I lie down where there is a green heron, not a great, the beauty of a mallard pair, still water, and above me, a Supermoon dancing with night-clouds. Presence…palpable, profound. Resting in the grace of this world is not a luxury; it is a necessity. If we are to do the work that is uniquely ours to do, walk gently on this earth, be people of love, of peace, of justice, we have to fill up our empty wells, restore our vision, mend the rips in our souls, and make time to do this, the essential, rather than spend our furiously frenzied lives doing the merely important. The life being renewed here is also my own. How easily I forget my inextricable connection to all of life in the illusory crush of my day to day dramas and struggles. This is an antidote to the fear that keeps us spinning. So I am committing myself to daily communion with Wild Things, to an ongoing immersion into their peacefulness. I promise to look, and listen, be present and teachable. Even from my customary urban perch, there are so many promising instructors: life insistently abounds all around us. Every day, I’m going to cultivate the freedom that comes from resting in the grace of the world. For my good, and the good of all. Because when we truly listen, it is not to the words. Nature teaches us to listen, to voices without words. To the trees, to the land, to the stars, to ourselves. And only then can we truly listen to each other. Bless you for reminding me to listen to Wild Things. “I come into the peace of wild things who do not tax their lives with forethoughts of grief.” What a lesson we can learn from nature, about things over we have no control over, to make our lives so much better. The phrase “walk gently on this earth” is a beautiful way to respect our world and the other wonderful living beings on it. We need to make it part of our daily thoughts and actions. 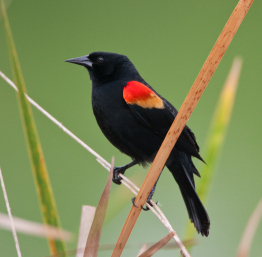 Thank you, when I listen to the grace of the world, in my little water trickling pond, or watering plants, or just sit outside at dawn to listen to birds awakening, it is a gift of time and peace. I remember that we are all connected. At tiimes I do Tong Len, the practice of breathing in the speed and violence and pain of the world, or our son, of a friend, and let it filter thru me to breathe out peace and calm and the grace of our world. Hal reads from Wendell Berry many times at church.